Live, from a one bedroom apartment with a bad internet signal, this is Pressure News Weekly! 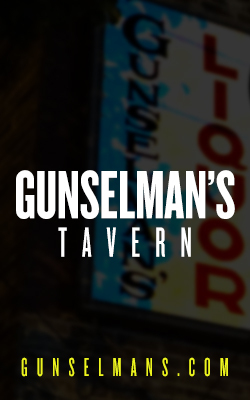 This week, snakes in holes, crystals in caves, turkeys taking back the streets and the love of gold! CRY FOR ATTENTION… OR FORBIDDEN LOVE? Whether it be a case for Darwin awards, Millennial disconnect, or evidence of the old adage “don’t stick anything anywhere you can’t pull out of later”, one thing is clear- there is a woman in Portland that has a python coming out of her ear. Ashley Glawe had her pet ball python lounging around her neck when the snake made a break for the dime sized hole in Glawe’s earlobe. “I tried getting him out myself,” she told CNN, “I knew I wasn’t going to be able to without hurting him by pulling back against the scales.” After a visit to the emergency room and a length of string used to overstretch her gauge piercing even more they were then able to slide the serpent free. Despite Glawe’s claim; let’s be real, we’ve all seen people play with their gauges. Pens, fingers, baby carrots, they’re always sticking things in there. In this anchor’s humbled opinion, replete with a degree in reptile law, I feel this was a textbook case of self-inflicted snake insertion. 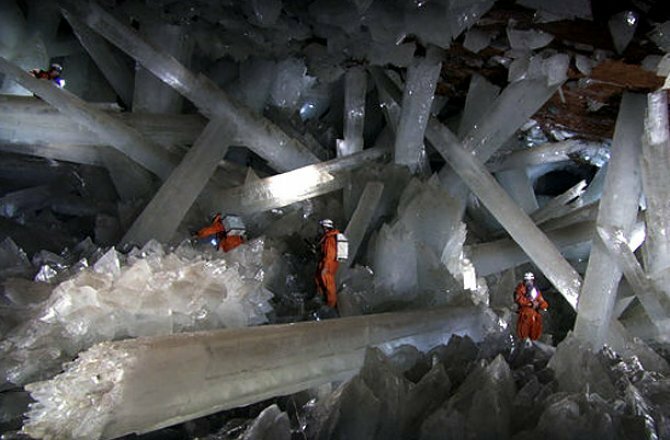 Within the Naica Mine in Chihuahua Mexico NASA’s astrobiology department have discovered a cache of prehistoric crystals and geodes of staggering sizes with some towering over five meters tall. But more than simply visually dazzling the true fascination lies within these minerals and crystals. Found within were approximately one hundred species of never before seen bugs, specifically bacteria, that have been in a state of geolatency for up to 60,000 years. Not only were mere appearance of these bugs interesting, more so was their manner of eating. with the cave they were found in sitting atop an active volcano most forms of life would be incapable of surviving. To remedy this these ancient organisms have begun feeding off of inorganic minerals such as iron, copper oxide and manganese. Scientists were even able to revive some of these ancient bacterium, thereby potentially introducing new life forms into the world of which we can learn new manners of energy consumption and transformation. The ease of survival for these bacteria in such dormant and crystallized forms gives NASA fear in just how easy it would be for some of this bacteria, if derived from extraterrestrial origin, to manifest on earth, spreading dangerous new forms of bacteria and potential illness. And spur a renaissance of great SyFy Channel originals. So win-win. How far would tou go to save a pet dog? A pet cat? what about a rabbit or a pet snake? Maybe you’d even try to save a tropical bird or fish? Well, what about a goldfish? What about a really old goldfish? Bob, the twenty year old goldfish, was suffering a tumor growing on one of his fins. When one of owners noticed they took their family pet of twenty years to the local veterinarian; one can only assume because their toilet was clogged at the moment. Anesthetic water was delivered to Bob via a teeny tiny tube sent down his mouth before Dr. Faye Bethell excised the tumor with a teeny tiny pair of scissors and a pair of teeny tiny forceps. Can you imagine being the middle child in that family? And finally, if you were short on nightmares, don’t worry; we got you covered. Eat a bunch of old take-out before bed, put David Bowie’s “Blackstar” on repeat, and watch this video of a dozen turkey circling a dead cat in the street. Clearly part of some sort of fowl occult ceremony in which the birds will rise the feline from the afterlife to serve as their undead avatar. Residents initially grew concerned after some youth turkeys were seen smoking cloves and listening to Bauhaus behind their coops. That’s all for this week! From the Pressure News desk I’m Adam Dodd for Pressure News Weekly- stay weird, people.